"Joomla! is an award-winning content management system (CMS), which enables you to build Web sites and powerful online applications. Many aspects, including its ease-of-use and extensibility, have made Joomla! the most popular Web site software available. Best of all, Joomla is an open source solution that is freely available to everyone." Due to the enormous growth of WordPress in the last years, Joomla has lost its position as the most popular and novice-friendly Content Management System (CMS). But that does not mean that it is not worthy of your attention, in fact, Joomla is as technically advanced as any large modern CMS. Also, it has its benefits comparing to WordPress: it is faster, generally less prone to hacker attacks, and more scalable. In addition, it has a vast library of designs, which are exclusive for Joomla. It is similar to WordPress as both are written using PHP; are table based using a MySQL database; are open source and therefore free to use; and have alternative methods of use. Joomla is available using either Joomla.com or as a self hosted application using Joomla.org. The sites in the images below have been written by DoveSoft using com and org respectively. Joomla web pages are built from primary content stored in articles and placed in the central core of each page, and secondary content contained in modules and extensions and stored in the periphery of each page. For example in the site below right, the text to the left of the Home and About pages is primary content and all other content is secondary. Joomla.com is the newest Joomla! service that allows you to build and maintain a completely free website. The site building software you will be using as part of the service is a slightly modified version of Joomla CMS. The website you create as part of the service will be hosted for free on the special Joomla.com hosting plaform for an unlimited amount of time. DoveSoft recommend that Joomla.com be evaluated first in order to avoid the hassle of providing web server hosting. 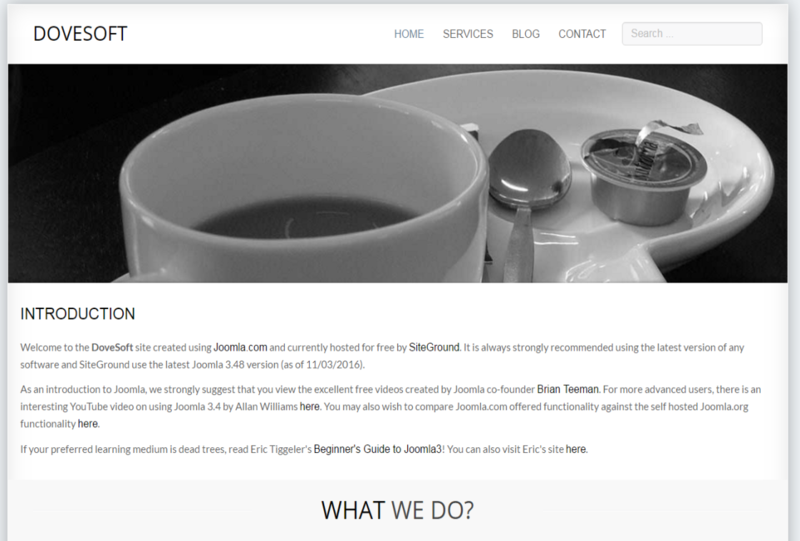 Joomla.com allows you to use a slightly modified version of Joomla! CMS to create awesome free hosted websites. If you prefer to download the Joomla! CMS yourself and start a self-hosted website visit Joomla.org. Joomla.org is the website of the great community behind Joomla! CMS. On this website you can download the full version of Joomla! CMS, find a detailed documentation on how to use it, get help from fellow users in the community support forums, read the project news, learn about the community events and even get involved in this amazing project. 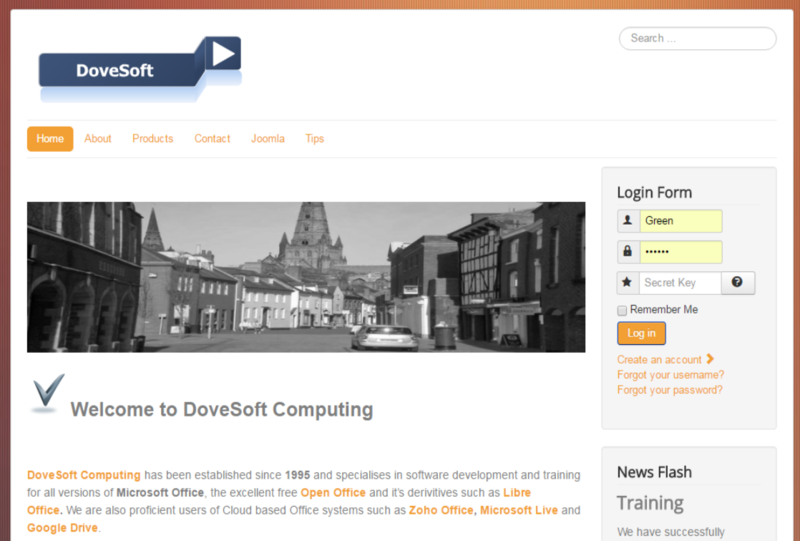 Click the Joomla tab in the DoveSoft Joomla.org site above right for further free video links and other information.